It seems strange that I should write about depression now, 13 years after it happened. I am not even sure where to begin, since the situation presented itself most unexpectedly. So, perhaps the best place to start is right in the middle of it. An October day in 2001 dawned like any other and my tired eyes opened to switch off the ringing alarm at my bedside table. The bright display blinked the time, 4:30 a.m., in unforgiving neon. Almost mechanically, I went through the motions of getting ready for work, finishing my morning chores and cleaning the house before setting off for work at 5:30 a.m. This was within six months of being married, so I had all the new-found energy of a young bride. Or so I believed. The rigorous routine was hacking away at my physical stamina, my mental preparedness and my overall peace of mind, but my stubborn brain refused to give in to the needs of the body. I ploughed away at work, did all the housework and started shunning family and friends who called me up to speak to me. That was the beginning of the silent and deadly clinical depression and Bipolar disorder that would govern my life for the next year. It was only when my mom visited me that month that she realised that something was wrong. On a trip to the local jewelry store, I started hallucinating about a person following us and whispered to my mom that people were out to harm my family. Over the next few days, this progressed to manic episodes where I picked up a souvenir and flung it across the room, threw a chair against a wall subsequently breaking it and left the house in the middle of the night, looking for a mythical person whom I held responsible for all my troubles. Without ado, my husband,parents and in-laws agreed that help was what I needed and I began a round of medication, psychiatric counseling and therapy to bring me back from the abyss of Manic-Depression. As difficult as it was to answer probing questions and veiled queries by strangers and family alike, my parents and husband did not shy away from the truth. All through the nine months that was my pain, I had the best people stand by my side. At the end, it was a rebirth of the most spiritual kind. See this photo of us? That was taken a couple of months before my ordeal began. This one was taken last October. What’s the difference, you ask? I mean, I am smiling in both photos, after all. The difference is this: I am stronger now. My journey through the fire of Depression has honed my senses, made me more tolerant, taught me to judge less and love more. In effect, both photographs show that I am happy. But the Happiness in the second one comes from the heart of love which surpasses all obstacles. Would I go back and change that entire period of my Depression? NO! Both the personas are me: The me from 2001 and the me from today. We exist because we enable each other. She AND I are twin faces of the same coin. Without her, I would not exist today. Life has been a very fascinating journey over the last thirty-odd years and there are some moments that emerge more triumphant than the others. I count my Depressive episode as one of my triumphs, an achievement that I can proudly wear today after having been through the furnace, so to speak. Why did I choose to share my story today, after so many years of being silent? In my heart, I believe that the time is now right for the world to deal with Depression in a kinder way. I hope that people will be more tolerant of those suffering from mental illness than they were a decade ago. Most of all, though, I pray that should my daughter or any child go through anything similar in the future, she can reach out to me for help without feeling that it is wrong to do so. If this post can encourage more people to share their stories of pain and unhappiness without the fear of being judged, then that is a positive step in the right direction. Remember, who you are today AND who you were a decade ago may be two different people, but they are both you. Nothing should keep you from celebrating both with equal fervour; not society, not public opinion, not criticism and definitely no guilt. (September 2015): Deepa Padmanabhan, freelance journalist, wrote about my struggle with Depression and how writing helped me come to terms with it in this piece in Live Mint. (November 2015): I was interviewed by the White Swan Foundation for Mental Health who ran this interview with me after this piece was shared multiple times on social media. Read the interview here. 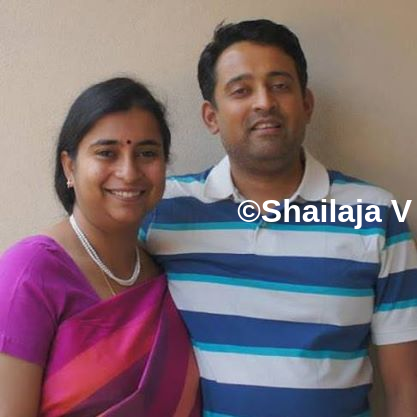 Hello Shailaja, very touching and inspiring post. It's really commendable for you to come out of the closet and discuss your trying period with the readers. This itself shows how brave and strong you have become now. Am sure the support you received from your family members is the reason behind. Be blessed! Proud of you Shailaja, for speaking out in the open, and for the personality you are now! It's not easy to share something like this. Thanks for sharing! 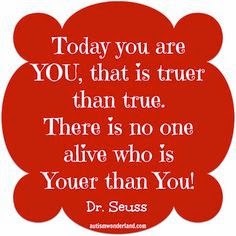 Loved the quote by Dr Seuss and your strength and the courage to speak out. Hugs , hugs and a zillion hugs more to you!! My mom just pulled out of it. And I can relate to the darkness and the pain loved ones suffer, too. You are blessed to have a loving family. Well, I had to share my experience. My mom's condition changed me as much as her. Im more tolerant, more accepting and spiritual, too. I had no idea it had been so bad S. And I'm so so glad you came out through it all without a scar, hopefully. You were lucky in having supportive people around you. Touchwood to that. My mum has been going through something similar and has been on medication for over a year now. She's much better but still the monster returns each time she faces any kind of a stressful situation. Any small thing can trigger it off – a maid not coming, or a bad cold, or being alone at home – any kind of real or imagined worry. I too am glad she has all of us specially my dad and my sister who are constantly by her side. I just wish I were close by too. It's hard to watch my full-of-energy mum turning sad and silent and it's harder not being there. Hugs hugs and more hugs to you for being brave enough to share. I do hope it helps people understand others bearing up with this silent killer. Truly an inspiring post, Shailaja. Takes a lot of courage to put your life out there. Thanks for sharing this. Depression is something which a lot of people struggle with internally. The right kind of help is needed at the right time. You were truly lucky to have your family by your side through it all. inspiring post… and yes, while we carry the scars of our past, we have it within us to overcome the suffering too… especially when you are blessed with love all around you. Hugs Shailaja. I can understand the nature of experiences that you've had to a large extent coz I have some close people around me who suffer and also treat depression. It does take a lot of love and support from people around us to sail through such tough times and take it in your stride to emerge stronger. It takes a lot to share something like this and you have my respect for it. Take care. Wow Shailaja, I am in awe of your putting yourself and your story out there. Though I knew of it, it is still so powerful reading it in your written words here. Kudos to you, and I am definitely going to use this post as a resource for folks I know. Much love and strength to you my dear. Beautiful post Shailaja ! Because more than a story about depression , its about coming out stronger, about being strong enough to bring this out in a post to encourage and empower other people in similar situations. Kudos to you ! And as I said before, glad to have met you ! You are very brave to pen down this life story . I am sure it will help many. Good luck with everything you do in life and good wishes. It must be tough times for you and your family, but I am so happy that you overcame the deadly depression. The support of family is so important during these times. I am glad you wrote about it, so many could now derive inspiration from your story. Good that you finally wrote about it, Shailaja. You are a fighter spirit, many readers will find inspiration from your story. The love, support and patience of family members can make all the difference when one is dealing with such darkness and despair of depression. You were indeed fortunate in that respect. Happy that you came out stronger and more 'you' as a result of that painful experience. Hugs. Glad you got the right treatment at the right time because you had the support of right thinking people! Hello Ajay. Welcome to my blog. Thank you very much for your kind words and support. It means a lot to me. You can imagine how tired I was then 😉 Yes, my experiences shaped me and made me who I am today 🙂 Hugs right back at you, Vidya dearest. Thank you Prateek! I am honoured that you visited and left a comment. Really touched. I can completely relate to the fact that the supporters suffer equally. I saw my mother braving my entire phase with a smile on her lips, but I know the toll it took on her. Thanks for the hugs. God bless! The triggers are very real and very scary, Tulika. I hope your mother has someone she can rely on, in case of an emergency. I came very close to harming myself on two occasions when I was alone at home. I think a higher power watching over me is what saved me. It is terrible to watch a person you love suffer from depression and feeling helpless about it. You need love, patience and time to help them heal slowly but surely. Agree Athira. Going through it alone is neither advisable nor wise. I hope more people reach out when they need help. Thanks for reading. Well said, Roshan. We carry the salve to our wounds within us and love helps us heal. Thank you for your kind words and love, Vinodini. Thank you so much, Aparna. You are my rock in more ways than one. Thank you so much, Nima. Very glad you stopped by! I certainly hope it inspires more people to share their own pain, Beloo. We all need people who will listen to us. Hugs back! Jen! I am so touched to see you here. I am glad that I came out of it stronger 🙂 Thank you! Yes, that was very critical, Deepak. The right care at the right time is always important. Thank you so much, Vinitha. Really touched by your kind words. Thank you Sibi. Welcome to my blog. Touching & inspiring post, Shailaja. Great that you have shared your story. So wonderful that you wish to help. Depression is a major illness. Sad that people don't know that they are afflicted… Support is much needed. Relieved that it's a past chapter in your life now. I totally understand how it feels as my mom was under severe depression for 8 years, I want to write abt it but she reads my blogs n would be not be comfortable reading it so never posted abt it there. In India goin to a doctor for mental problem s is such a taboo, I was in school wen I used to take my mom to her doctor n I was told never to tell anypne abt it. Now she is perfectly healthy n normal but it has left a gear in me would I vo through it too… ithibk abt it sometimes..
Take good care of urself.. Thank you for writing this very important post, Shailaja. I am not yet brave enough to accept the fact that I have gone through depression, and consequently had a very bad 4 or 5 months with it. The fact that I had a recent episode scares me too. It's such an inspiring post! It needs a lot of courage and determination to reveal such things to the world, considering the fact that our society is not so liberal till date to look upon such cases with love and care. This account of yours will surely encourage a lot to overcome their hurdles. The best post I've read so far for this prompt! A sincere and necessary post Shailaja. Thank you for sharing. It must not have been easy. Really, thank you so so much! Very true and very sad, Anita. If we can increase awareness of this in any small way, I think we are a step closer to being a better society. I empathise with your mom, Ananya. A couple of friends have mentioned the same thing about their parents. It is heartbreaking, no matter who suffers. That taboo is what we need to do away with. Don't fall prey to the fear of this illness. There is nothing we cannot overcome if we have the support and love that we can get. Thank you so much for your kind words. I am truly touched that you chose to share that here. Believe me when I say that the healing process is different for each person and the time needed will vary, but we can do it together if we choose. Thank you for reading. Bless you. Maniparna, that courage is what I lacked for a long time. I was afraid of being judged, of being told that I was foolish to share this with the world and perhaps of being shunned. The last few months have been challenging on the personal front and consequently strengthened me to put this out for people to read and share their own stories. I certainly hope it does that. As for the compliment, I am truly, deeply touched. Thank you so much! Wasn't easy, Sam. Not at all. But I am glad I worked up the courage to finally do it. I think my foothold in the Blogging community has really helped me that way. Thank you for your love. I am glad you had the most supporting people at your side during the phase. Everyone is not so lucky, shailaja. It must have been a crazy phase, I know. But like you said, it was you then, it is you now. Two sides of a coin. Prudhvi Latha, Thank you so much for the support. I agree that not everyone is that lucky to have supportive people by their side. That is why it is important to seek support from outside if the ones around you are not giving you the help that you need. I did not think I had the guts to write it, to be very honest. Thank you to Rachna for bringing you here. Grateful for the FB like as well. Stay blessed. Shailaja, a big hug to you dear! Two members of my family have battled mental illness and I know how it can turn the world upside down. And, I am proud one of them, who fought it and came through it stronger and braver. And, I am equally proud of you, my dear, for fighting it and coming out and speaking about it, so people can understand what it is that people with Depression go through. And, how they can be helped through this tough phase. Shailaja, finally here from the desktop. Couldn't comment from the phone. :/ What a story! You're a survivor. I also want to laud your family. I saw my mother suffer from depression. She was later put under medication and experienced crazy peaks and troughs. It was a very tough time for us kids especially because of her fractures, her emotionally fragile state and depression. Dad held us all adrift with this composure and strength. I have a lot of respect for you for sharing it here. I am sure it will help many others. Respect! So glad to have met you on this journey of blogging. As mentioned in my FB message, let's talk some time soon, Shilpa. That always helps us heal better and faster. Hugs to you too for surviving this and living through the whole thing like a true fighter. Aww hugs to you Rachna for commenting. Truly, sincerely appreciate that. I think one of the best things that emerged from my sharing of this story is the fact that so many people could identify with it and not feel alone. For that, I feel blessed. If this can do whatever little it can towards expelling the taboo and stigma surrounding Depression and mental illness, I would consider my job partly done. Your situation also seems to have been quite trying and as children, it must have been difficult to face, most definitely. The medication does do that, unfortunately. If the dosage is not monitored and gradually tapered, there is a danger of dependency. I thank my stars that my doctor was a very capable man whom my parents trusted completely. Very very glad to have met you on this journey as well. Blogging has helped me heal in so many ways. Shy, I have only one thing to tell you – RESPECT! And yes, your past is an important part of who you are presently. Good luck with the contest too. Thank you Sid, for reading and for being supportive. I too went through a mild phase of depression a few years ago after I lost my father. What helped me were Louise l hay, Reiki and past life regression. Thank god, I came out of it a stronger person. Kudos to you for writing about it with the intention to help others. Hugs. I too have been desperately sad when I lost a family to death. I could been seen so happy and full of energy during the day, but once I get into my room and close the door, then all the strength and energy could drain out and could find tears flowing down like a river. A person who slept for long, couldn't keep her eyes shut for more than 2-3 hours. Never been a person who shared much, except for few friends no one understand that I was really sad inspite of my smile. I still don't know whether I was undergoing depression or not. But only knew that I was not happy. But as time passed, as I started doing things I always wanted to do, as I opened up…. happiness came and the sadness started to drift off. It is not easy being so honest and I have even more respect for you than before. The support of family and friends is most crucial at such a stage in life and glad you had the right people by your side. Such things make us stronger and better, it was an inspiring post of how one can brave anything with the right kind of support and clarity. Thank you Shailaja. Am moved by your courage and the simplicity of your narration. Writing is therapeutic! I know because when I am going through something and write about it, I feel light and happy. Your post is honest and courageous, just like you and hope it helps those going through the same. Lots of light and love coming your way, take care. Very brave of you Shailaja not only for writing this blog but also to have overcome everything! It is indeed very important to have supportive family and friends around you. Kudos to you and everyone who stood by you! Lots of hugs and best wishes! Very touching and inspirational post shailaja. Kudos to your family who were your strong support. You are a brave and courageous lady…hats off to you…it takes mental courage to talk about it…i really appreciate this. may god bless you. I am sorry to hear that you suffered after your father's loss, Preethi. I cannot even begin to imagine the pain that would have come with that. So glad to hear that you found the right tools to help you emerge from it stronger. Thank you for reading. Sheethal, that sounds like something that was very difficult to go through. DOing it alone is the worst thing, because the feelings get magnified and nobody is around to help take the edge off. I am sad that I went through what I did, but knowing that my experience is helping so many more is what keeps me happy today. Thank you for the hugs, love and for being part of my life. So very glad. The feeling is mutual Parul 🙂 Thank you for reading! Thank God, that you have recovered and become a stronger woman. Thanks for trusting us enough to tell your story to us. Fortunately you were surrounded by loving and caring family and husband. I know it very well, Mon. Big, huge hugs right back. Thank you for your support. Your words are so reassuring, Sulekha. Writing helps us heal. Very true. Thank you so much. Thank you so much, Megha. It makes a big difference, the people we have around us. Thank you for your kind words. Really appreciate your comment. Yes indeed. How lovely to see you here after a while! I have been missing ABC Wednesday linkups for a while. Time to remedy that. Glad to hear that you have left the past behind and enjoying the life again now. You are a strong woman. Thank you for reading, Rajesh! Yes, the challenge was trying to do too many things at once. For those who are suffering from excessive stress, the first thing they need to do is accept that they are multi-tasking and reduce/delegate their workload. Second, they need to be willing to talk about this with someone- a family member, a trusted friend or a therapist. This is very tough for most people, but some gentle coaxing and support can help. Third, meditation and guided muscle relaxation works pretty well to alleviate stress-related ailments. I will be doing a follow-up post on this one and will publish it on the blog on the 20th of this month. Do check back for more suggestions and assistance. Reach out if you have more queries. You have a major point there about being more tolerant to people with mental illness. More often than not, a bit of compassion makes all the difference. You are fortunate that your husband and the rest of your folks stood by you in your hour of need instead of shunning you. Thank you Ilian. That tolerance is sadly lacking among many many people. Even today. Here's hoping every voice can reach the farthest corners of society and help change their views. Thank you for reading. Thank you for sharing your story, Shailaja! Well said!! It is amazing that you held the burden on your shoulders for so many years…and the world needs a HUGE reminder to empathize with others. A lovely, lovely post. I am both sorry and inspired by this post. Sorry to read what you went through and inspired by your courage. Happiness which comes from within has no substitute and it makes us a better person. Truly, an inspirational post. It's really sad to know what you went through. But the fact that you survived and had the courage to share your story shows how brave you are :). Thank you for reading and sharing, Kitt! Your words warm my heart, Michelle. Touched by the love. Thank you! Much appreciate your stopping by, Smitha. Truly blessed to be in the company of loving friends and family. Very true, Saru. That happiness which can overcome anything and everything is such a wonderful delight! Abha, I am so sorry to hear what you are going through. I had no idea. Truly, it is said that the Happiest people always hide the deepest frowns. Not once would I have guessed that you suffer from Depression. I am glad though that you are seeking counseling for this actively. I am sure you will find the love that you need. Thank you so much, Aseem! I am glad that my family stood by me and believed in me to bring me out of this stronger. Never too late to hear from friends, Sanch. Did I not take 13 years to write this? 🙂 Thank you for the support. Coming from you, who deals with these situations on a daily basis, I consider myself lucky and blessed. Ur strength inspires me and glad that your experiences have made you stronger. God bless you! Be strong Shailaja! God be with you! 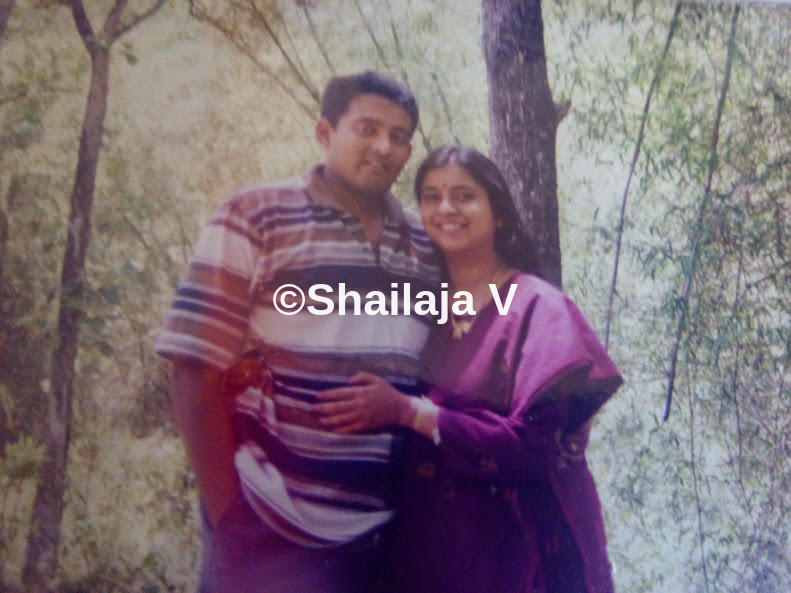 Shailaja though we haven't met in person… The little I have come to know you, I couldn't have ever guessed you were a victim of depression and that it was this terrible!! I am so happy that you fought this and spoke of it here! It takes courage! Bless your family who stood by you! Fighting depression, which is hugely ignored and is misunderstood, will be possible if more and more people speak about it and face the reality! Hugs!! N tons of respect! Shailaja, you are one brave girl, a source of inspiration to thousands of those who read your inspiring words.I really admire you for your strong will power,which helped you to come out of that dreadful experience.Bravo!! I wish I could come and give you a tight hug right now! I saw this post doing the rounds on FB but never really got the time to read it. But now that I have, I feel so proud of you. First, for getting past it and next for having the courage to talk about it. Thanks for sharing your story. That was a brave thing to do. You are lucky to have loving people who helped you through it. We often have to deal with this on our own and that is not an easy thing to do. But catastrophic events in life bring about major transformations. Perhaps someday I'll tell you my story. I am married for ten years and we still do not have a child. My husband is very supportive of my nature but my father in law and his extended family do not support me at all. His family always interferes and always hurt my feelings. Now I have turned into an angry person. Always show my angry side to everyone. I am very talented but can't keep my focus for more than four days. Sick of this life! Oh, ya my friends also have not supported me in my illness! Coz now I know they were never my friends! Lucky you, you have everything that has supported you and also a child! I am not jealous of you I simply hate my life! Very inspiring. The best way to fight with depression is make friends, gossip with them. It will relax your mind, also doing Yoga and meditation also help a let. Everyday morning I start my day with yoga then light few Cycle incense sticks and start meditating. Yoga and meditation helps a lot for the people who is suffering in chronic headache. Try and let me know if it is useful. Shailaja, this was such a great post, and I'm sorry it's taken me so long to get around to reading it. It was so honest, open and brave. Thank you for sharing such a seminal part of your life with us, and you're quite right to believe that this was a defining moment in who you are. How fortunate you were to have so many wonderful people to support you. Thank you for pointing me in the direction of this post too! I am really glad if this story can help you as well, Luxguru. Thank you for reading. Aditi, the connection we have made online is one of the strongest bonds I have ever made and I am incredibly happy about that. Yes, I am happy that I spoke about this too. It is helping me heal and cope in amazing ways! Naba, that is so true. You would not believe the corners of the world that this has reached! So glad to know you too! Thank you, Usha madam, for your kind and loving words. I will hold you to that hug, my dear Soumya! Love you too! Saantvana, I am really sorry to hear about all that you are going through. I know that what I say may not help, but please do not lose hope. Just when everything seems like it is going to fall apart, we get the love that we need from unexpected quarters. If prayer helps you, please turn to that. If you have a friend who will listen, please speak to him/her. Just don't go through this alone. Trust me. It is not worth it. Someday I will listen to your story, Suzy, with all the empathy that my heart can hold. Stay blessed. Priti, thank you for your comment. All that you have mentioned is technically true for mild forms of depression and sadness. Clinical, Chronic depression is another situation. My post on February 20th will help dispel all these myths. Asha, the fact that you read the post is more than enough. Thank you so much for being here, being with me in my struggle as a writer and being supportive. This post has opened up so many avenues now that I am truly, deeply overwhelmed. loved your post shailaja, and I am happy to read this post. I like the way you have accepted both the persons in your life the 2001 You and the current YOU. Its so nice to see that you are able to look at the past with positivity and emerge stronger…. hats off to you… thanks for inspiring ! Glad to know you dealt well with it with the support of your family. It really inspires a lot of people to deal with depression. One really needs to understand the turmoil of thoughts going inside one's head. I am so happy for you and what you said about the past makes so much sense. For that's one thing that was with us throughout and made us who we are today. We should always embrace with whatever we dealt with and learned to move forward carrying with us everything that life offered us. Thank you for sharing this one. I am so happy to have found you, you have no idea! Thank you for your kind words, Angela. I am sorry for the delay in getting back to you. Thank you so much, Geetika. I am touched that you feel blessed by our paths crossing. I am grateful for the connections that blogging has brought to my doorstep. Glad to hear you are ready to talk about it, Vasantha. Please write. It helps tremendously! Read this post now, after more than an year of u having written it Shailu. Great you could pull through it all and better for it with the help of your lovely family. 4.30am n new bride. Scary. I have had depressive attacks a few times and have gone thru them all alone. Someone from up there must have pulled me thru. Someday I will write about it all. Hugs. Read this post now.It requires lot of courage to come out of such depression and more courage to write about it.Let God give you loads and loads of strength and happiness. Thank you so much, Subha. I am glad I spoke up when I did. It’s helped me in more ways than I can imagine. Thank you Shailaja for sharing your story and for the world to draw inspiration from it. I hear you completely. I have been in the same boat as you a couple of times during the course of my life, and till mid last year. I refused to believe the doctor who said I was bipolar, depressed yes, bipolar no. I might be wrong but then that helped me overcome the phase and move on without any labels to the chemical imbalances my body underwent. I’m not going to proclaim I’m healed but yes I’ve come a long way. And it’s been about 6 months now that the blues haven’t crept in. Writing has been the balm to my soul and it’s helped me soothe those frayed nerves and start afresh. It has given me a purpose in life. I started my official blog in Dec 2016 (prior to that had a redundant one at blogspot which I never used) and ever since then there has been no looking back. Wow Shy!! This is such a heartachingly brave post! I have been through a depressive stage myself for about 4 years and I still have too many scars from then to heal; probably wont heal till I die but I admire your courage and strength and most of all envy you for the supportive family around you! A big hug to you Shy; these seem to be collecting and I am hoping to meet you in person soon to deliver them all!! Thank you, Shalini. You are too kind. This took a lot of thought, to write this post way back. But it’s given me the courage to write my memoir, so that’s the silver lining 🙂 yes, I hope we can meet real soon! So sorry to hear about your phase. Do write about it in a private diary or offline. The healing power of writing is cathartic.